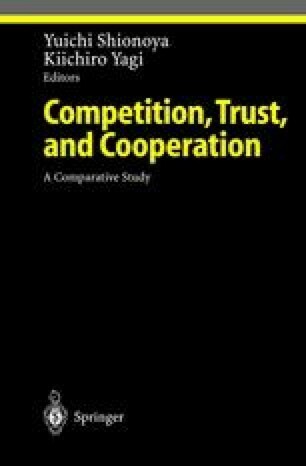 My allotted task here is to question whether the relatively abstract, philosophically-oriented social theory systematised as critical realism can have anything to say about the (relative or absolute) desirability of the social processes of trust, competition and cooperation. This question, however, is sub-ordinate to the broader and prior matter of whether realist social theory can have anything legitimate to say at all concerning matters of ethics. Reason for doubt stems from the recognition that broadly philosophy-of-science projects or perspectives do not connect directly to substantive claims or concrete policy orientations. This applies to the perspective systematised as critical realism as much as any other; substantive claims and policy stances do not warrant being identified as critical realist theories or policies. In particular, movement from a philosophical position to any political stance necessitates the supplementation of the former with empirical claims. For helpful comments on an earlier draft I am grateful to Steve Fleetwood, Clive Lawson and Steve Pratten.